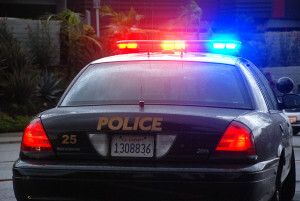 A man was found in a San Carlos driveway with a critical, unexplained head injury early Thursday — among two injury incidents reported, police said. A neighbor reported the injury at 8061 Beaver Lake Drive at 5:11 a.m., according to San Diego police Sgt. Ray Battrick. Paramedics took him to a hospital, he said. Police were investigating how the man came to be injured. Also, a 22-year-old motorcyclist was seriously injured when he collided with a taxi cab in San Ysidro early Thursday, police said. The accident at Camino De La Plaza and Camiones Way occurred shortly after midnight, according to San Diego police Officer David Stafford. Both vehicles were headed westbound on Camino De La Plaza when the 24-year-old taxi driver made a U-turn in front of the motorcyclist and the two collided, Stafford said in a statement. Paramedics took the motorcyclist to a local trauma center to treat a broken pelvis, he said, adding that the taxi driver was not injured.